Celebrate the 7th Annual Hemp History Week June 6th - 12th! Celebrate the 7th Annual Hemp History Week with us! Starting on June 1st, all orders placed on hemptopia.com through June 12th will get free samples. 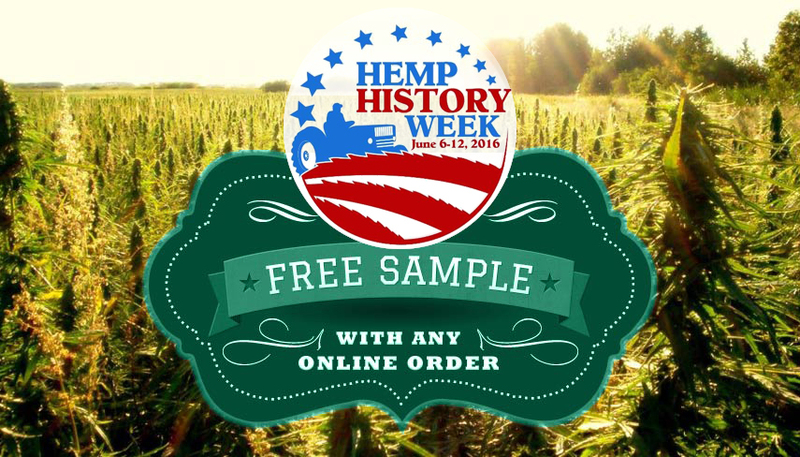 We've got a great group of product sponsors for Hemp History Week. Manitoba Harvest is providing their popular Hemp Hearts, raw shelled hemp seeds as well as their Hemp Pro 70 vanilla flavored hemp protein powder. 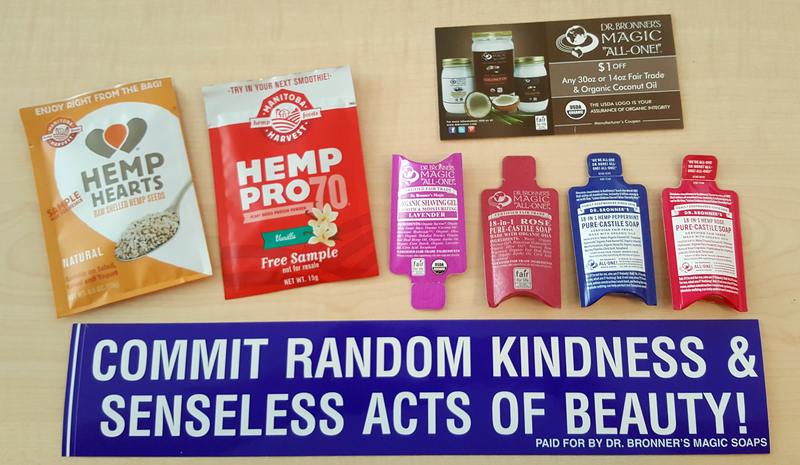 Dr. Bronner's has provided a variety of items including their organic lavender scented shaving gel and different scents of their 18 in 1 pure castile soap as well as a bumper sticker and coupon. Learn about Hemp History Week with the video below and visit www.hemphistoryweek.com to get involved!